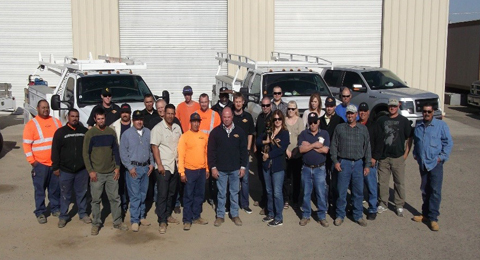 Founded in 1988, Cal Valley Construction, Inc. is a bondable certified UDBE/WBE/DBE Company that is centered in the San Joaquin Valley. We are a complete earthmoving, grading, paving, site development and general engineering contractor. Our projects have covered the Central Valley, Bay Area with some travel to Southern California. We specialize in City, State, commercial, residential and agricultural construction. Our dedicated team prides itself on providing YOU, the Customer, with high quality construction services. No matter what your need, large or small, with Cal Valley Construction you can be assured we will do the best job for you.